This course can also be taken in an convenient blended learning format where some coursework is done online before class to receive the same certification card. Sign up for a classroom course below. 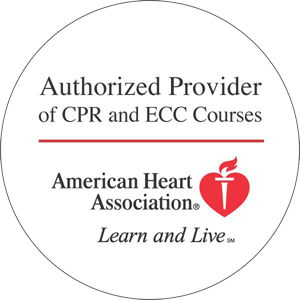 Intended Audience: Teachers, Daycare Providers, Coaches, Office Workers, new parents, or anyone who wants or needs to learn the life-saving skills of CPR and are not a healthcare professional (healthcare professionals are required to take the more advanced BLS Healthcare Provider class). This course can be combined with First Aid in one convenient session. It can also be taken in an convenient blended learning format where some coursework is done online before class to receive the same certification card. Sign up for a classroom course below. The Department of Health now requires an in classroom session to be completed in addition to the online portion of this course to be compliant. Please complete the brief online class before coming to your selected in person session below. Topics in this session include: Bloodborne Pathogens, Prevention of Disease Transmission, Aseptic Techniques and Infection Control.